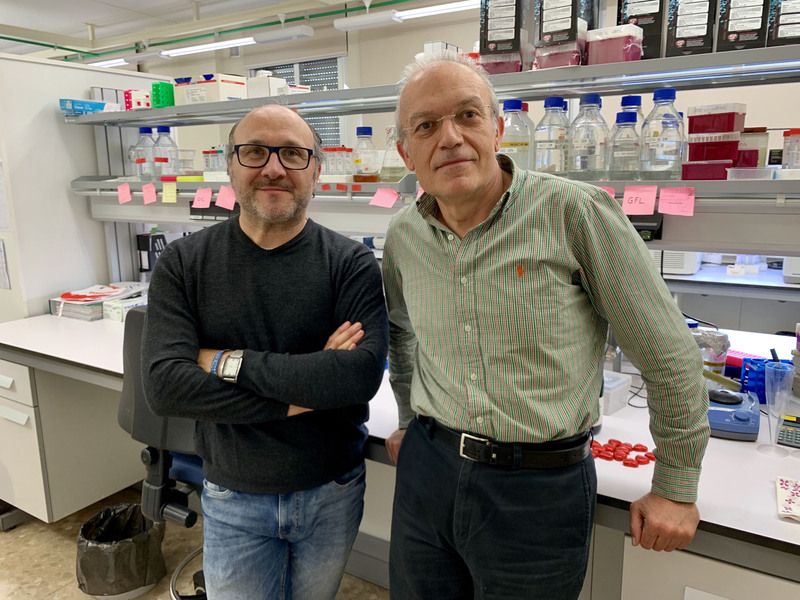 José García Martínz and José E. Pérez Ortín, from the group of Yeast Functional Genomics from Valencia University (UV) have taken part in international research which proves that protein Xrn1 coordinates the three main stages of gene expression (transcription, translation and degradation), as opposed to what was believed until now. According to the work, published recently in the journal Nature Communications, it is likely that this phenomenon is applicable to all eukaryote organisms, including human beings. “Genes are instructions written in the language of DNA. 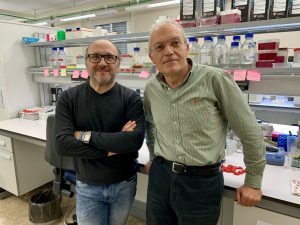 To use these instructions, cells need protein machinery which first transcribe the DNA into messenger RNA (mRNA), which uses a very similar language, and then is translated into proteins – the true executors of genetic information,” says Pérez Ortín. Proteins use a very different language, hence the need for translation. Until now it was thought that the information flow stages from DNA to protein were independent of each other. According to the expert, this idea is changing and it is now known that there are numerous interconnections between the stages which are carried out by multipurpose proteins acting in different processes and moments of the mRNA. This work, produced by four research groups headed by Juana Díez, of the Universitat Pompeu Fabra, is a continuation of a study of the UV together which other international groups which proved that Xrn1 was useful for the transcription as well as the degradation of a majority of the mRNA of yeast. Despite the work being conducted on yeast as a model of eukaryote cell, it is believed that this phenomenon is shared by all eukaryote organisms, including human beings, as Xrn1 is present in all of them. This process is essential for maintaining appropriate levels of proteins, which is necessary for a healthy cellular condition. The methodology used by the professors of the Department of Genetics and Biochemistry and Molecular Biology, and of the Biotecmed Interdisciplinary Research Structure (ERI) of the UV, has consisted on the application of original genomic techniques developed in their laboratory to measure the synthesis and degradation of all mRNAs. The results show a coordinated control of the three main stages of genetic expression through Xrn1 to maintain the balance of proteins within the cellular membrane. A key for future research will be to clarify how the transition between the functions of Xrn1 is regulated and responds to its surroundings. Also participating in this study were the University of Bern (Switzerland), the Technion-Israel Institute of Technology (Israel) and the Max Planck Institute for Molecular Biomedicine (Germany). It has been funded by the Ministry of Economy (Spain) and the PROMETEO programme of the Valencia community. © 2019 R&I World. All Rights Reserved.